The Kingston Teen Art Lab is a collaboration between Habitat for Artists and the Kingston Library. We hold summer art workshops for teens exploring a range of experimental techniques and materials. During the week of July 22nd, 2013, teen artists worked with artist Michael Asbill to create their own museum that they named P² L² Von Oboat. 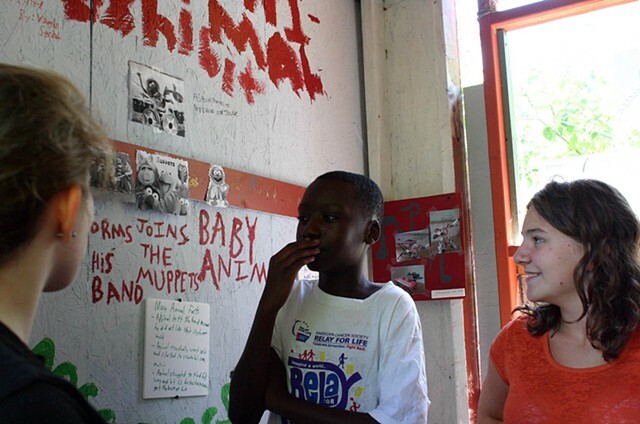 Here, teen artist Vaughn discusses his exhibit about the life and times of the muppet Animal.